While additive and traditional (subtractive) manufacturing have often been set on opposite ends of the spectrum, is this truly the case? 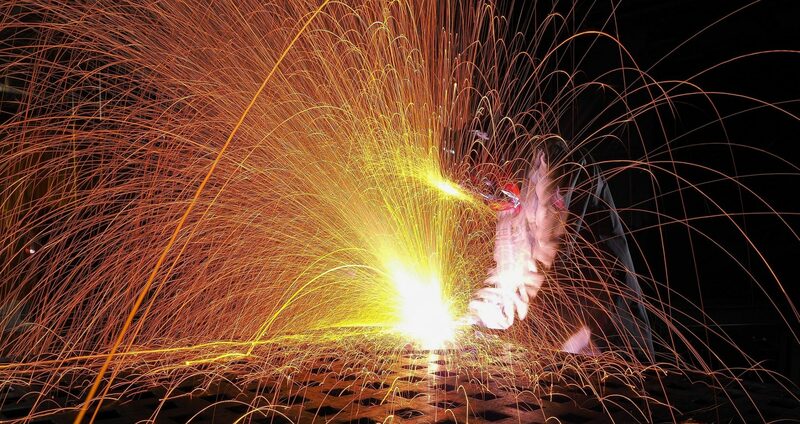 As manufacturing technology advances, the benefits of hybrid manufacturing are clear. Hybrid manufacturing systems, equipped with both additive and subtractive manufacturing capabilities could be a game-changer for the industry. In this scenario, additive and subtractive technologies, far from being competing methods, can in fact greatly complement each other and open up a range of opportunities for enhanced, one-stop manufacturing. The use of subtractive and additive technologies together is not a new concept: for example, post-processing 3D printed parts typically involves CNC machining to achieve higher accuracy and a smoother surface finish. However, there is also another way of combining both methods, resulting in what is referred to as hybrid manufacturing. When we talk about hybrid manufacturing, we are referring to the combining of additive and subtractive manufacturing processes within the same machine. Hybrid manufacturing leverages the most valuable capabilities of both technologies: the geometrical complexity of additive manufacturing and the high precision of subtractive methods. This means that once a part can be additively created and machined in a single operation, accelerating the production process. Of course, this means that the design of any hybrid component must be done with both additive and subtractive manufacturing requirements taken into consideration. One application of hybrid manufacturing systems is low volume production of metal parts. Machines built for this purpose typically built use a CNC milling system to which additive capabilities are added, such as 3D printing nozzles, for example. In spite of the design complexity afforded by metal 3D printing, metal parts require extensive post processing, in part to overcome rough surface finishes. 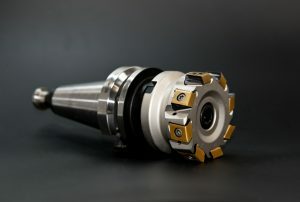 And while CNC machining is limited when it comes to producing complex geometries, it offers a high degree of precision. Imperial Machine & Tool Co. is one company that has developed hybrid manufacturing technology; here, AM systems are used to produce complex, end-use metal parts, which are then CNC machined for dimensional accuracy. Direct Energy Deposition (DED) is one additive manufacturing method that can be used in such hybrid solutions. DED works by melting the material by a laser or electron beam as it is deposited through a nozzle onto the build platform. The deposited material can then be CNC milled to achieve a better surface finish and tighter tolerances. Alternatively, a part can be milled first and then extra features additively built to create more complex shapes. DED technology is an ideal option for producing large metal parts and repairing key components. 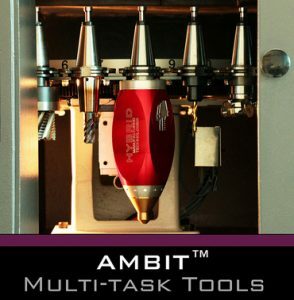 US-based company Hybrid Manufacturing Technologies was the first to develop a hybrid deposition and milling system named the AMBIT™ in 2013. The most distinctive feature of the AMBIT system is its patented deposition heads which can be added to any CNC machine to produce new or repair existing parts, with an automated changeover process. DMG MORI is another key player in the field of hybrid manufacturing. Its LASERTEC 65 3D hybrid machine offers a 5-axis material deposition nozzle, enabling highly complex metal parts to be produced. US-based Optomec is also worth mentioning: the company offers two hybrid solutions based on its proprietary LENS technology. Firstly, its series of hybrid additive machines, the newest of which (the LENS 850-R system) is suitable for large metal parts, and secondly its machine tools series, which can be integrated into a standard CNC platform. The benefits of this kind of hybrid manufacturing are multiple. Firstly, thanks to the high deposition rates of DED technology, and CNC milling, which can be immediately used to finish a 3D printed part, lead times for metal part production can be sped up, resulting in a faster time-to-market. Secondly, DED hybrid manufacturing systems build highly precise, dense metal parts in larger sizes than powder bed fusion processes would allow. Furthermore, such systems typically feature a multi-axis arm, which is capable of building a part in any direction without the need for support structures. Another advantage of DED hybrid systems is that it different metals can be used in the same part. For example, a hybrid system can start with machining a block of one metal and then switch to another using additive manufacturing. Often cladding is accomplished with this way. Laser sintering can also be coupled with CNC milling, resulting in a hybrid powder bed process. 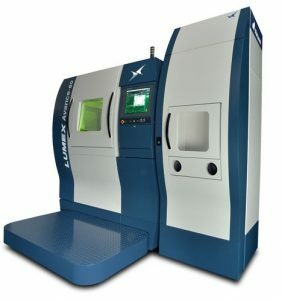 Matsuura Machinery Corp. is the major manufacturer of such systems, offering its LUMEX series of “metal laser sintering hybrid manufacturing” machines. By combining selective laser sintering and a machining platform which accommodates as many as 20 tools (the LUMEX Avance-60), LUMEX systems can produce parts without subsequent finishing. The machining spindle featured in the systems is also capable of reaching internal structures as they are printed, creating highly accurate parts. This wouldn’t be possible with additive manufacturing alone, during which a part is printed first and then sent to finishing. According to Matsuura, this hybrid technology is particularly beneficial for the mould-making industry, as it is capable of reducing manufacturing costs of moulds and dies to half when compared with conventional methods. However, other industries can also take advantages of the powder bed hybrid technology, creating high-value components with reduced weight and improved functionality. Additionally, moulds with complex conformal cooling channels can be additively manufactured and then machined with a powder-bed hybrid AM machines, resulting in 50% faster injection mould runs whilst improving tool life by more than 30%. While aerospace and automotive industries are pioneering hybrid manufacturing technology (these industries typically have one-off or small batches of highly complex parts undergoing frequent iterations), hybrid manufacturing could become a viable solution for various medical applications. While hybrid manufacturing systems have not yet been developed specifically for medical applications, 3D printing medical parts and subsequently machining them is already a widely used process within the industry. However, with the advent of hybrid manufacturing, highly precise patient-specific prosthetics and dental implants could be produced even faster and more cost-effectively. However, hybrid additive manufacturing is perhaps even more beneficial in the field of repair and maintenance operations. One example is GE, which has used Hybrid Manufacturing Technologies’ hybrid system to repair turbine blades. 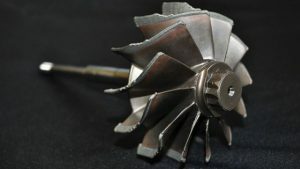 Thanks to hybrid manufacturing, worn-out features and damaged parts of a turbine blade can be repaired by depositing new material on its surface and then machining it to precise tolerances. This not only eliminates the need for producing a new part from scratch but also reduces the number of steps required to repair a part. In one case, the hybrid system was even capable of modifying the blade’s root form by adding a feature for better power efficiency. This would not be cost-effective with solely traditional manufacturing methods like casting. While hybrid manufacturing is still in the early stages of development, the benefits it could offer to the manufacturing industry are endless, from shorter lead times to complex parts that would otherwise be impossible to create. There is a lot of research being conducted in the field: for example, Loughborough University is pioneering what it calls hybrid and multi-systems AM for metal and polymer systems. Ultimately, hybrid technologies could become an industrial game-changer, paving the way for more sustainable, all-in-one manufacturing.